Plus size short cap sleeve floral embroidery gown. Plus size short sleeve scoop neck striped printed dress. Plus size short sleeve round neckline striped tunic top. Plus size short sleeve open front cardigan. 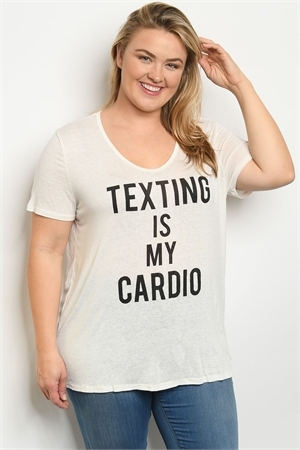 Plus size short sleeve scoop neck graphic tee. Plus size sleeveless crochet detail tunic dress. Plus size 3/4 sleeve scoop neck slub knit top. Plus size short ruffled scoop neck tunic dress. Plus size sleeveless scoop neck ruffled tunic dress. Plus size short cold shoulder scoop neck leopard tunic dress. Short sleeve cold shoulder scoop neck printed tunic dress. Plus size short sleeve round neckline floral tunic dress. Plus size short sleeve scoop neck striped tunic top. Plus size long sleeve V-neck striped tunic top. Plus size short sleeve V-neck button detail blouse. 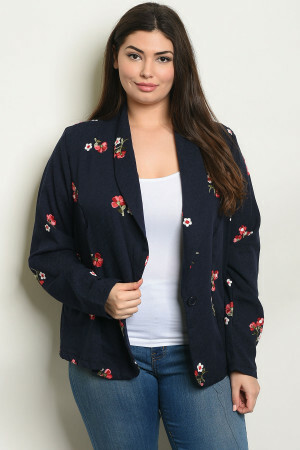 Plus size long sleeve open front floral blazer. Plus size long sleeve lace up detail crochet tunic top. Plus size sleeveless V-neck floral blouse. 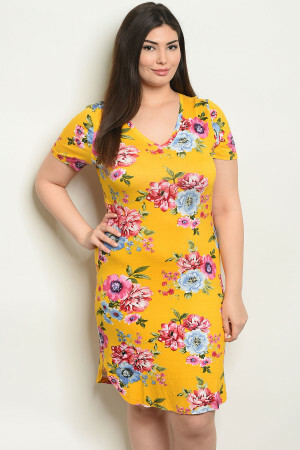 Plus size short sleeve V-neck floral tunic dress. Plus size short sleeve printed crochet trim tunic blouse. Plus size long sleeve scoop neck striped tunic top. Plus size short sleeve open front chiffon kimono. Plus size 3/4 sleeve scoop neck printed tunic top. Plus size 3/4 sleeve scoop neck striped tunic top. Plus size long sleeve open front striped cardigan. Plus size 3/4 sleeve scoop neck floral tunic dress. Plus size 3/4 sleeve open front kimono. Plus size sleeveless scoop neck neon bodycon dress. Plus size long sleeve scoop neck tunic top.